2686 South Blvd Brewton, AL 36426 (across from Georgia Pacific Mill). The station opened in 2014. 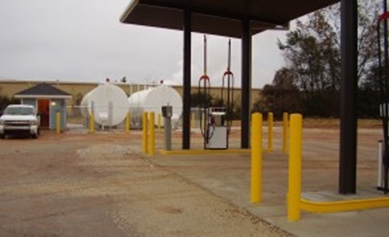 The tank capacity is 15,000 on-road, 10,000 off-road and now offering Diesel Exhaust Fluid (DEF). 11918 Hwy 84 W Perdue Hill, AL 36470. The station opened in 2010. 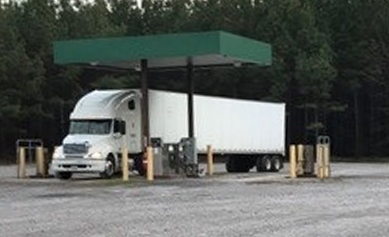 It serves truckers hauling to Georgia Pacific AL River Mill and Roy O Martin Sawmill at Monroeville. 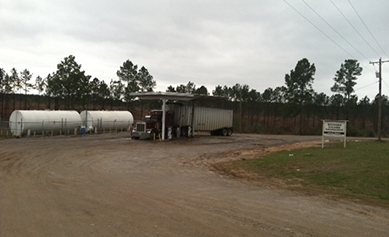 The tank capacity is 18,000 gallons on-road. 1819 Hwy 165 Pittsview, AL 36871 (near WESTROCK Cottonton Mill). The station opened in 2011. 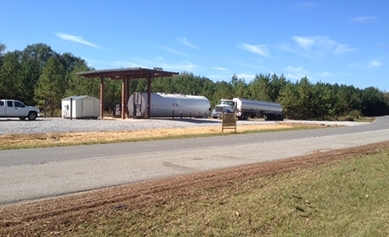 The tank capacity is 20,000 gallons on-road. 15194 US Hwy 431 LaFayette, AL 36862. The station opened in 2009 and was one of the first with two fuel islands. 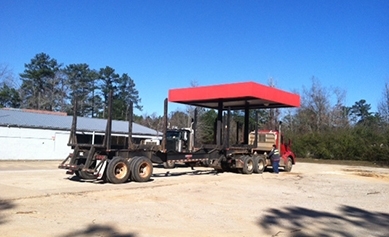 The tank capacity is 16,000 gallons on-road and 16,000 gallons off-road. 2500 Gulf States Pkwy, Moundville, AL 35474. The station opened in 2015. 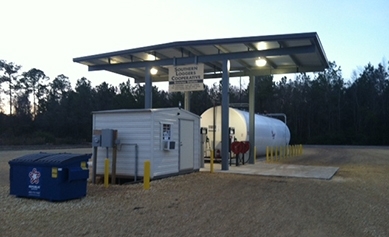 The tank capacity is 15,000 gallons on-road, 10,000 off-road and now offering Diesel Exhaust Fluid (DEF). 4092 Main St (Hwy 114) Pennington, AL 36908. The station opened in 2014. 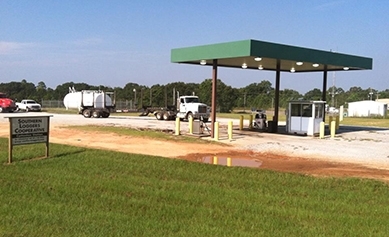 The tank capacity is 24,000 gallons on-road and 8,000 gallons off-road..
7991 Hwy 10 W Pine Hill, AL 36769 (across from International Paper Co Pine Hill Mill). 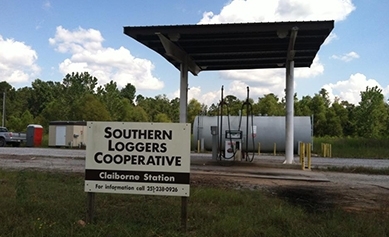 This was the first SLC station in Alabama and it opened in 2007. The tank capacity 16,000 gallons on-road and 16,000 gallons off-road. 8500 River Rd Selma, AL. The station opened in 2011. The tank capacity is 12,000 on-road. 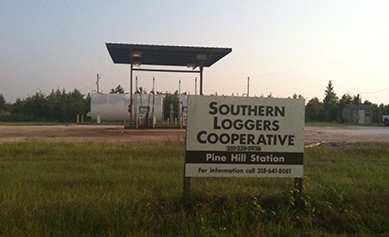 942 Hwy 3163 Campti, LA 71411. The station opened in 2012. The tank capacity is 16,000 on-road and 16,000 off-road.